Air Display is the easiest way to turn almost any spare screen into an extra display for your computer. 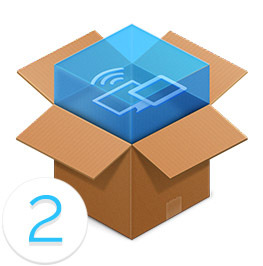 Wirelessly connect to an iPad or Android device from your laptop to create the ultimate road-warrior workstation. Or repurpose any nearby Mac or Windows PC to give yourself more screen real estate for your main Mac. Air Display connects easily, allowing you to extend or mirror up to four screens at once to create unique and powerful presentations or to improve your creative workflow in whatever way you choose. 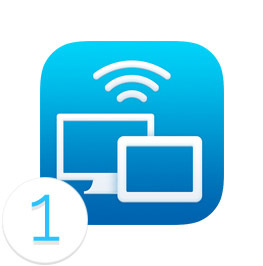 NOTE: Air Display 2, the latest version that was compatible with Windows, is no longer available in the App Store. Buy the Air Display app from the App Store, download the free drivers from here to your computer, and GO. Use your iPad, iPhone, Mac or Windows PC as a second display. Extend or mirror your screen. With Air Display’s advanced Wi-Fi, you never need to worry about having the right cable or even staying close to your computer. Use your finger to draw directly on the screen. Try it with a calculator app, painting tool, or music control surface. Do this from the device that will be your extra screen. Download to the computer that will be your main screen. 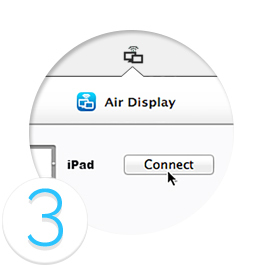 Launch Air Display on your extra screen device, then Connect in the Air Display menu on your computer.